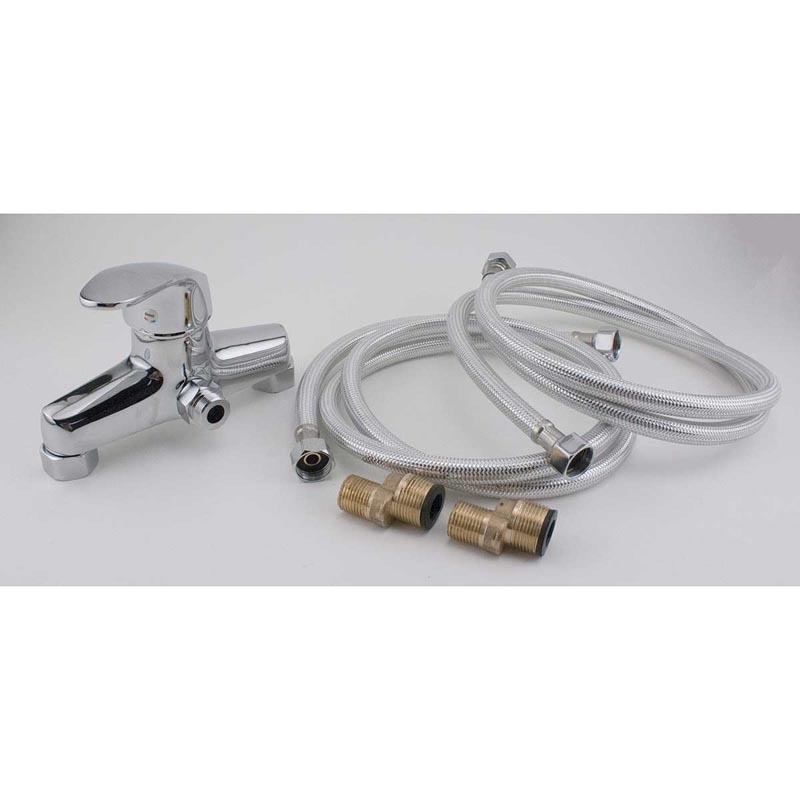 This professional stainless steel lever faucet kit comes complete with two 60 metal .5 inch diameter hoses. Faucet has 6 inch center. Can be used with PBP89785 Paw Brothers Professional Stainless Steel Spray Hose Complete. Water flow rate is determined by water pressure. On average, flow rate ranges 4.5 Gallons to 6 Gallons per minute.